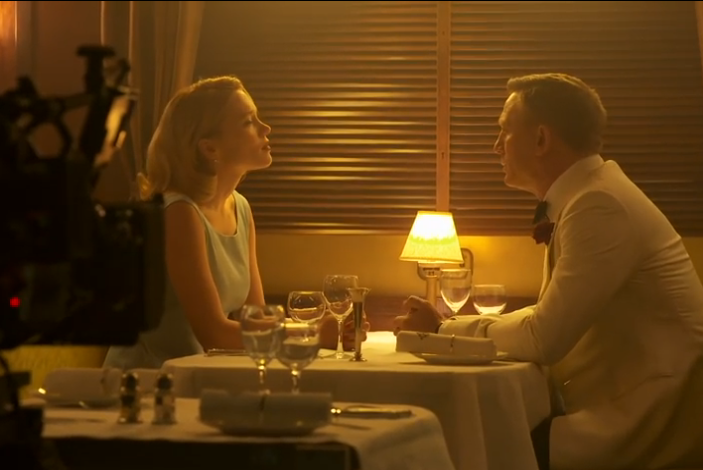 Kate Johnstone (UCL) reviews the new Bond film Spectre. Like all franchises, James Bond films operate within a fixed world, with fixed rules. Since the Daniel Craig reboot in 2006 with Casino Royale, attempts have been made to make this world bear slightly more resemblance to our own than it ever did with Sean Connery, Roger Moore or Pierce Brosnan at the helm. Casting someone who can actually act (sorry guys) undoubtedly helped. Bond has also been given an interior life, of sorts. He’s fallen in love with a woman, and taken the important step of revisited his childhood home - even if it does get blown to pieces - the last place where he was genuinely happy, before his parents’ deaths. And so to Craig’s fourth Bond outing in Spectre, much anticipated after the critical and commercial success of Skyfall. With Sam Mendes directing for the second time, there is also the promise of further psychological depth. The opening scene, filmed in Mexico City on the Day of the Dead celebrations, involves a cast of thousands, explosions, fantastic costumes and the first of many helicopters. But it’s too much too soon, and doesn’t have the pace, immediacy or intimacy of Casino Royale’s opening scene, a two-person chase through a Madagascan building site. As always with Bond, the plot makes no real sense – one of the fixed rules. It’s something to do with MI6 not being keen on merging with MI5, because they want to get rid of the 00 programme and do all spying virtually. It’s just not the sort of thing done by decent chaps, personified by Ralph Fiennes as M. No matter: it’s all a MacGuffin to allow Bond to go off the grid and chase people through glamourous locations, which he does, with aplomb. One of these is Dr Madelaine Swann (Léa Seydoux), whose name is a pointless intellectual joke. Dr Swann is a psychologist, so Bond must at least initially pretend to be in need of her services when he tracks her down to a suitably ludicrous glass and steel clinic perched on top of an Austrian mountain. But we only get to see her psychological knowledge displayed through her ability to read out a personality questionnaire and tick the responses, neither of which seems worthy of a doctorate. The right casting is essential in Bond films, and Seydoux is a misstep. Of course she looks the part, but she isn’t credible in a role which aims to be not a Bond girl, but anti-Bond himself: insightful, emotionally intelligent, but still able to pack a gun when required. Any psychological depth which this character might have brought to the Bond franchise is sadly never realised. Christian Waltz is also surprisingly disappointing as the baddie, and the psychological aspects he brings to the story – which could have been considerable - are largely thrown away. The film’s real weakness is the absence of Judi Dench, cruelly killed off at the end of Skyfall for no good reason. In retrospect, the relationship between Dench’s M and Craig’s 007 was the heart of the first three films. There was real chemistry between Dench and Craig, and their relationship flitted between mother and son, and wife and husband. Her absence reveals the difficulty with current attempts to develop Bond psychologically, as no other character has a genuinely close relationship with him. There is, however, plenty of action which keeps things moving along nicely: gunfights, car chases, hand-to-hand fighting and lots of explosions. Comedy is provided by Ben Wishaw, who makes the most of his role as invaluable uber-nerd Q. But the gadget count is disappointingly low, and so too is the kissing count, if that’s your thing - blink and you’ll miss Monica Bellucci in a basque. The film is squarely in 12A territory. Spectre ticks sufficient boxes to be a big hit; but psychologists will have to wait for further insight into the real James Bond. - Reviewed by Kate Johnstone, a postgraduate at University College London and Associate Editor for 'Reviews'.